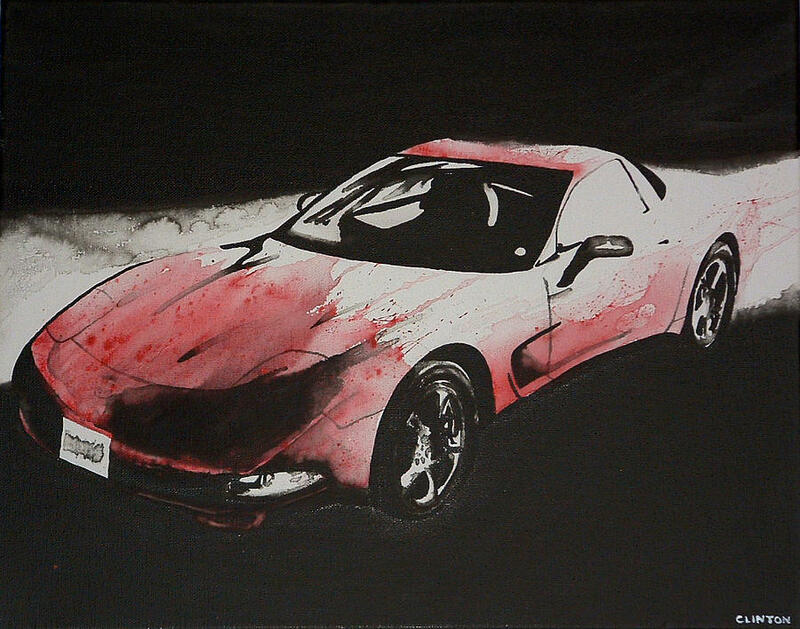 All Corvettes Are Red is a painting by Robert Clinton which was uploaded on January 14th, 2010. I painted this for my dad who is a Corvette fanatic. I was nervous because I hadn't implemented color in an ink painting before, but of course it was necessary and I was pleased with how it turned out. Awesome gift from my very talented son!